What do you get if you combine a tasty, rough pasta with soft and crispy flavours? An easy, healthy dish made delicious by unique pesto flavoured EVO oil. Wash the asparagus and cut it into diamond shapes. Blanche it in salted boiling water for a few moments and chill it in water and ice. 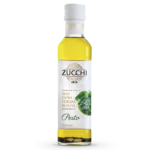 Drain, dry and dress with Zucchi pesto flavoured extra virgin olive oil and salt and pepper. 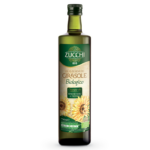 Blend the Zucchi sunflower seed oil and walnuts to make a smooth, soft cream. Mix the fresh pasta dough in the normal way and leave it to stand for at least thirty minutes. Roll out the pasta until thin and cut into small random shapes. 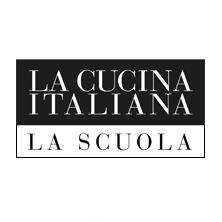 Cook the pasta in plenty of boiling water and once ready drain and chill in cold water. 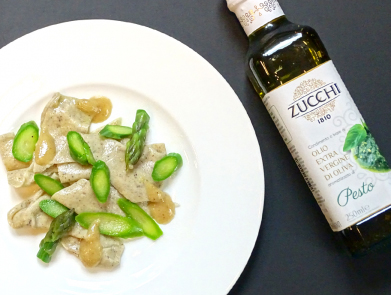 Dry the pasta and season it in a bowl with Zucchi pesto flavoured extra virgin olive oil. Transfer to the serving dish and add the asparagus and walnut paste. Complete with a dribble of Zucchi pesto flavoured extra virgin olive oil and the herbs.